I was wondering if I was going to get a blog post up this week. Two weeks ago part of my ceiling in the living room came down due to water damage. We made a decision to replace the whole ceiling and I spent the weekend packing things up and for the next two weeks, my cats and I are essentially living in my bedroom. While packing up things (including many many books), I read through a stack of picture books. Some I posted in my It’s Monday! What are you reading? post and today I feature some of the nonfiction titles. I was really curious about this book and hoping it would be good. I can see a lot of teachers using this as part of their units on butterflies. I also wish I had read this when we had an explosion of Painted Butterflies in our area about a month ago. It would have been the perfect book to share as students were fascinated by all the butterflies that surrounded us. I had heard of Esperanto as a language many years ago but I knew little of its creator. Rockliff gives readers an initial introduction to Leyzer Zamenhof and all of his work. Hopefully it will inspire students to learn more and to try learning some of it. I really enjoyed how this book was laid out. The color coding of the text to guide young readers in organizing their thoughts about each of the creatures in the book makes this a fun mentor text for nonfiction writing. 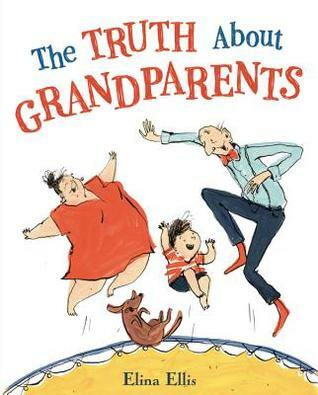 Plus all of the great facts will be enjoyable for children to partner share as they read this book. Description from GoodReads: Two fuzzy friends are having a fun playdate when a new pal hops in. As the day continues, each friend feels left out at times. It isn’t so easy to figure out how to act when everything seems to change. 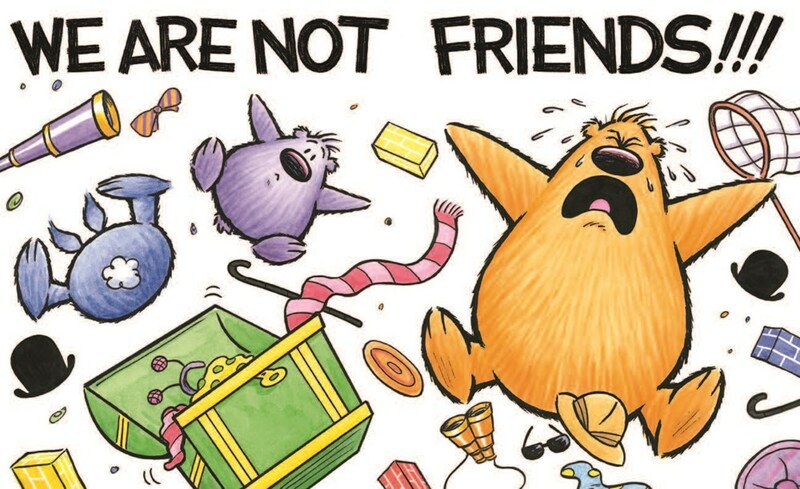 With humor and heart, the beloved characters from Theodor Seuss Geisel Award winner You Are (Not) Small navigate a friendship triangle as only they can. Back in October, I was luck enough to be able to do a cover reveal for WE ARE (NOT) FRIENDS. I am excited that soon everyone will get a chance to read this wonderful new book from Anna Kang and Christopher Weyant. Our favorite furry friends are back. This time they have a new friend, but just like all new relationships there can be growing pains. Sometimes a little jealousy and some frustration and feelings of being left out. Kang and Weyant are masters are capturing the feelings of young children and doing it in a manner that rings true. As a teacher of preschool and primary age students, I was always surprised at how young children were when they began claiming other children as “their friend” (not yours) and leaving out other peers. Yet, it is important to help children learn how to navigate those relationships and to find out how they can functioning as a group of friends instead of a pair of friends. Fans of the series will love this new book. 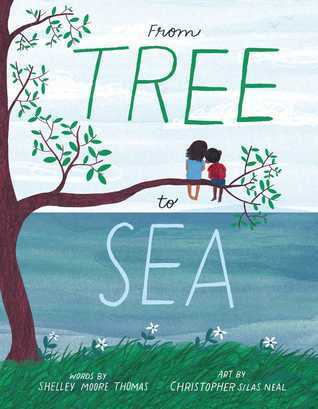 It will be a hit as a read aloud and one that will be requested for multiple reads. Look for a copy of WE ARE (NOT) FRIENDS at your local bookstore or public library. Anna Kang and Christopher Weyant are the creators of Theodor Seuss Geisel Award winner You Are (Not) Small as well as series titles That’s (Not) Mine, I Am (Not) Scared, and We Are (Not) Friends. They also wrote and illustrated Eraser, which was recently honored with The Christopher Award, Can I Tell You a Secret?, and Will You Help Me Fall Asleep? Christopher’s work can also be seen in The New Yorker, and his cartoons are syndicated worldwide. This husband-and-wife team lives in New Jersey with their two daughters and their rescue dog. Visit them at www.annakang.com and www.christopherweyant.com. One lucky winner will receive a copy of We Are (Not) Friends, courtesy of Two Lions (U.S. addresses). There is not enough hours in a week to get through all of the books that I want to read. I am trying to narrow it down to a reasonable number of books but my “to be read” pile is still growing out of control. I tackled a stack of picture books, a couple of cookbooks, and several audiobooks this past week. 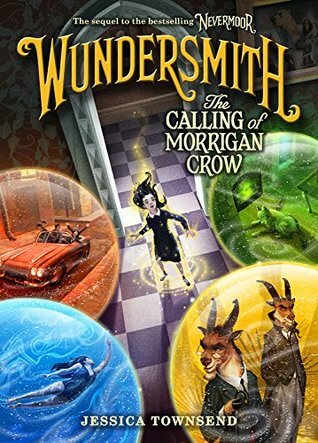 Wundersmith: The Calling of Morrigan Crow by Jessica Townsend (Little, Brown Books for Young Readers, 2018) - I can’t believe I have to wait for the fall for book 3.